Detailed and thorough PDF documentation contains explanations and tutorials for all the plugin’s features, elements, and answers most of the questions you might have. Take a look before you buy! Documentation and examples site contains main documentation, tutorials, feature explanation, and live demos for most of the table types and features. 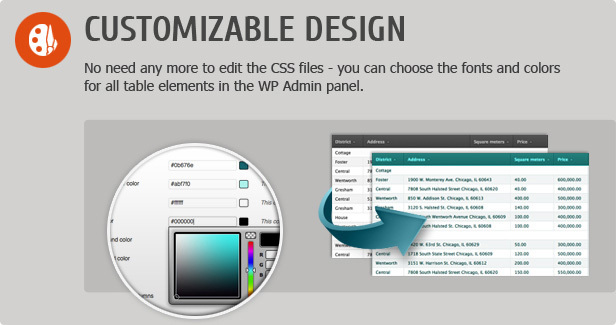 Sandbox demo site shows you the front-end data editing feature, and there you can see the results of all action that you do in the WP admin panel. All changes and uploads are flushed once per hour. Sandbox WP Admin panel (login: demo, password: demo) is designed so you could try the plugin, test and see it from the inside before you buy. All changes and uploads are flushed once per hour. 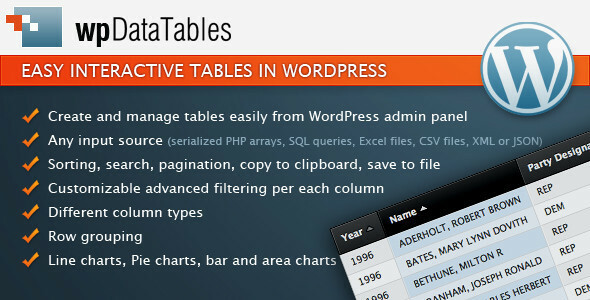 This entry was posted in Interface Elements, Tables and tagged csv, datatables, edit data from front-end, edit tables in wordpress, editable, editable table, excel, mysql, responsive, responsive tables, tables in wordpress, wordpress, wordpress table plugin, wpdatatables on April 17, 2015 by Vera Jaman.